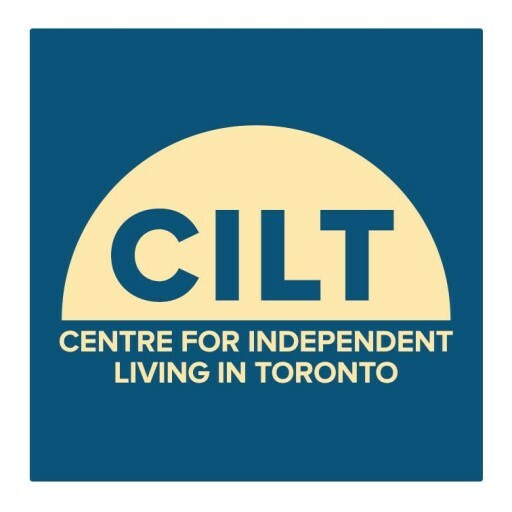 What is the Centre for Independent Living in Toronto? The Centre for Independent Living in Toronto opened its doors in 1984, to provide resources to people with disabilities. Currently, CILT, as we are better known, is the only non-profit organization focused on disability issues that is lead by people with disabilities. We provide a number of services, including Peer Support, Independent Living Skills Training and Information and Referral. We also administer the Self-Managed Direct Funding Attendant Services Program, which was established between our staff and Ministry of Health officials over 20 years ago. CILT also administers the Attendant Services Application Centre (ASAC), which enables people with disabilities living in Toronto and York Region to apply to a centralized for attendant outreach services and supportive housing that provides attendant support. We are one of 25 Independent Living Centres in Canada accredited through our national umbrella organization, Independent Living Canada. How is the Centre for Independent Living in Toronto funded? We receive funding from a number of different sources, including the City of Toronto, the Government of Ontario and the federal government. A good portion of our financial support comes from Toronto Central Local Health Integration Network. We are also a Member Agency of the United Way. CILT is registered charity that accepts donations and receives funds from membership fees. The concept of Independent Living began in Berkeley, California in the 1970s. Ed Roberts, who is widely credited with starting the movement, was a young polio survivor who wanted to attend university. At the time, no one with his level of disability was expected to do much all. However, he successfully lobbied the University of California, Berkeley to fund attendant services, which was a brand-new concept. Roberts proved people with disabilities were not only able to manage their affairs, but were in fact, the experts of their own lives — not doctors or social workers. The IL movement grew in strength, eventually arriving in Canada. Today, we honour Ed Roberts’s vision that people with disabilities can lead full lives with proper community support. The word 'consumer' appears throughout your site. What do you mean by 'consumer'? Before people with disabilities had access to community supports, we were referred to as “patients”. As a growing number of us achieved greater independence thanks to accessibility and greater awareness, we wanted to define ourselves. The term ‘consumer’ refers to someone who uses services such as attendant supports. When we refer to ‘consumer-driven’ services, we’re stating that people with disabilities are in control. As a non-profit organization, CILT is overseen by a Board of Directors, the majority of whom are people with a lived experience of disability. Our Executive Director oversees our day-to-day operations. Throughout its history, CILT has been managed and led by persons with a disability. This is a core value in our overall mandate. We welcome your interest in supporting our work through a membership. You can download our forms here. As a member you receive our newsletter CILT Now and will be added to our mailing list for events such as our workshops or social gatherings. You will also receive an invitation to attend vote in our Annual General Meeting, which takes place in the early fall.